Finally got out for a lunchtime walk again. 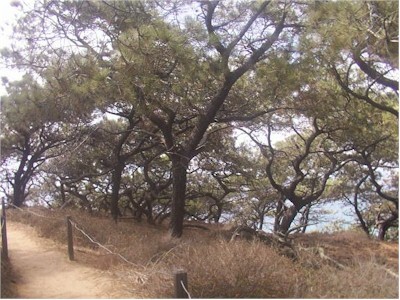 These are the Torrey Pines along the Guy Flemming trail in the northern portion of the State Park. Behind the trees is the blue Pacific.